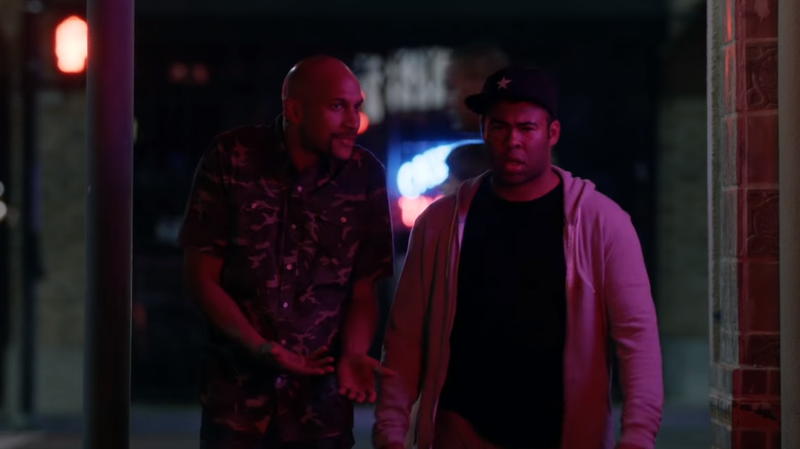 Key and Peele, on their way home from a horror movie. Before Jordan Peele was one of the best horror directors in the business, he was one half of the comedy duo Key & Peele, whose sketch show ran for five seasons from 2012 to 2015. Hopefully you know this already. But if you don’t, the show’s YouTube is ready to introduce you to one of their many, many delightful sketches. To honor the release of Us, the Key & Peele YouTube channel did something special for the former star, re-uploading a sketch about the lingering unease of a horror movie and the lengths we’ll go to to avoid admitting that we’re actually really frightened. Watching a sketch like this is also a delight, because you can see Peele’s love of horror coming through in a playful way. I have to imagine he was the driving force behind sketches like this. Also, protip: always park close when you’ve going to see a horror movie. Much safer.